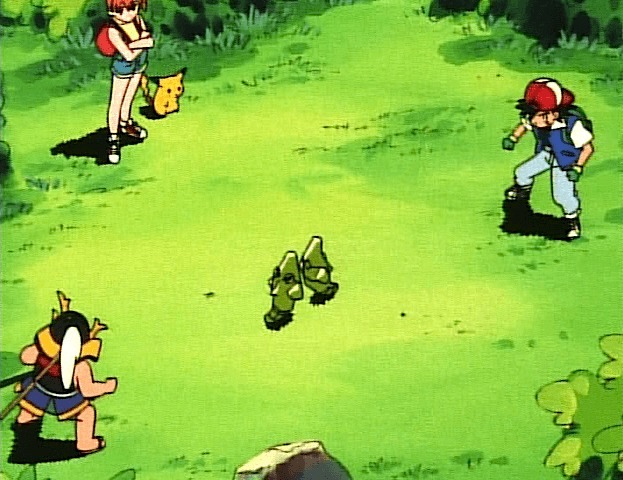 Nothing quite like a close Pokémon battle. In the time I have played the Pokémon TCG, I have had the pleasure of watching many intense, amazing games among top players and friends alike. Some of these games culminated after many brilliant moves to a single coin flip to decide the victor — as though the game itself were trying to suggest that as the only way to decide a winner among such skilled individuals. At the same time that I have seen solid play at the top tables, I have also seen sloppy play. Some games have left me nearly speechless, trying very hard to understand the line of logic that some players took that led them to defeat. As I have observed and grown with the game, I have recognized that misplays fall into a number of different categories: some of them are simple errors that players make under pressure, while others stem from something much deeper. Over the past four to five years, we have seen an interesting trend in the game take hold: players are quicker, smarter, and better at gaining solid deck lists. This is mostly due to the ease with which technology allows players to transfer ideas, testing results, tournament outcomes, and so on. Along with this trend, however, I have noticed a very interesting correlation in the Pokémon TCG, and that is that as lists have become more easily accessible and “standard,” so has the style of play. Now, I am not going to pretend that the game hasn’t been “simplified” over those past few years — I certainly believe it has. However, I think there is more to it than just that. As players divulge information and discuss this game and its strategies, snap judgements seem to be made all the time. As an example, a picture of the Excadrill EX from the Japanese “Battle Boost” set was leaked on Facebook, with players quickly deeming it “bad” or “broke” (two opposing opinions that shows just how quickly players reach conclusions nowadays). In the same way, ideas for our current format are discarded before ever tested. I will admit that I’m guilty of this — I hear about an idea that sounds good, and all it takes is one comment from someone I don’t even know to make me never test the idea out. In the search for the best deck with the best list, efficiency takes precedence, and I don’t want to waste my time testing something that simply will not work. You can’t always go through the motions. And so, this is where a lot of players end up: playing expected decks with expected lists in expected ways. Of course, this is perfectly fine. If players were not taking advantage of the technology of today, I would truly be worried. Yet, it seems there is a fine line between the beneficial dissemination of information and pure convenience. This became no more apparent to me than when I witnessed an intense game between between two players a few months ago that should have had an entirely different outcome. To protect the privacy of those players, I will be very general in explaining how the game proceeded. Essentially, Player A would have automatically won if Player B played a certain Pokémon during the game. 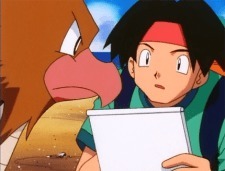 Therefore, Player B should not have even bothered with said Pokémon. 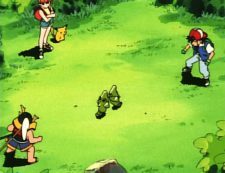 What happened, however, is that Player B played that Pokémon to the field and Player A ignored the strategy they should have used to win the game. The game for me was pretty excruciating to watch, but I imagine the other people who caught a glimpse of it might not have known any better. From the perspective of someone just getting into the game, these two players probably looked like they played it fine. This is what I have decided to term as playing with “autopilot on.” In other words, many players spend their valuable time on accumulating deck lists and ideas, then perfecting the core strategy of that deck in play testing. Then, when faced with a unique strategy or in-game scenario, they continue with that same style of play that won them previous games — except, this time that strategy does not work. This idea of playing like a well-oiled machine goes even further than in-game strategies though. I am one of those players who will not be attending the World Championship this year, and so I’m busy preparing for the 2013-2014 season. As I look at my style of play, I recognize some holes in it. Taking notes during a match, for example, has never really been a concern for me. It has always seemed out of the ordinary, and so I have never taken advantage of it. But that stops now! Playing with your autopilot “off” means that you not only know how to implement the core strategy of your deck, you also know how to step back from that comfortable routine and see the game with a little more depth. It also means that you’re willing to get into a new habit if it means you will be a better player. And let’s be fair, it might not always change the outcome of the game, but when it does it surely will be a sweet victory. There are often alternate routes to victory, if you look for them. This article will focus on the missed opportunities that befall a player who is cruising passively into a game. How many times have you mulliganed to have your opponent not even glance at your cards? That’s a missed opportunity! Or think about the players who manage to make it to the final turns of a game without deducing what their prizes might be. Again, it’s a missed opportunity. At the beginning of this article, I will also introduce an alternate format that I created for the Team Missingno. Invitational, a fun tournament that my team members and I just put on this past weekend! For those who are looking to perfect their play for the new season, read on. 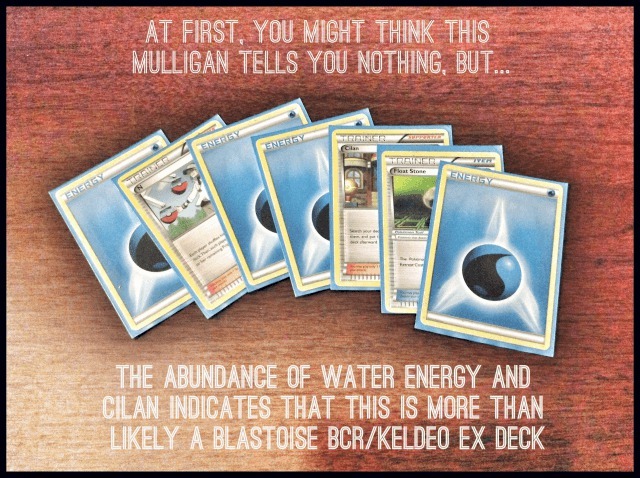 And for those competing at the World Championship this year, we’re looking to you to prove to us that these tiny things do matter, that mulligans should not be overlooked nor Prize cards left ignored. 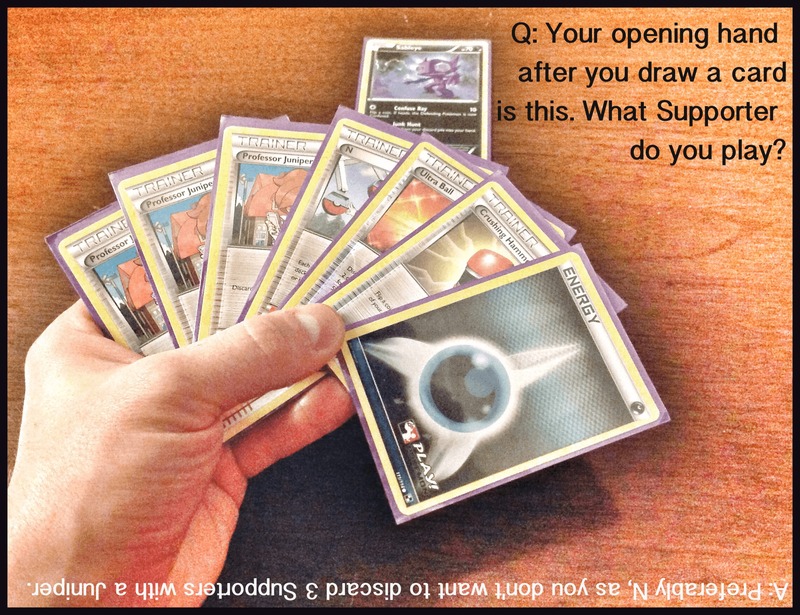 Note: For those of you wondering about that comprehensive article on deck strategies within the Pokémon TCG, rest assured. I am still working on it, though I think it would better be suited as a piece to start off the new season with. Provided here is a table of contents. Click on the link to move forward. “MISSING FORMAT” AND THE TEAM MISSINGNO. INVITATIONAL! We’ve unearthed a new format. So, first things first — I want to describe for you an extremely fun format that I came up with that, as far as I’ve tinkered with it, reminds me a lot of the old “ex” formats that many players loved so much. Not only that, it’s a format that is low-cost, has simple rules, and created to make the game more robust. I call it “Missing Format,” since it was originally designed by my team, Team Missingno. Now, I have to preface this by stating that I am not a fan at all of alternate formats in the Pokémon TCG. When I heard about the Palace Format in Japan, I prayed that it never be seen in the States. I’m sure I own some of the cards used in that format, but I just don’t want to fish them out. Nor am I interested in doing all the testing, thinking, and strategizing for a separate format. Other made up formats seem to start out with such promise, but before you know it cards end up getting banned left and right. Or the first turn rules change again. Or maybe somebody has a gripe against a couple of cards, so then players can only play 1 or 2 of them in their deck. The rules seem to change so much, and it gets very bothersome in the end. With the Missing Format, however, there are 5 simple rules that are used in addition to the current Modified Format. These rules are simple, but the outcome is nothing but fun. Here are those rules as well as a brief explanation for those rules. 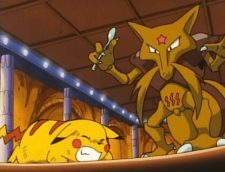 Only 1 legendary Pokémon may be played per deck (EX or standard, but not both; essentially like an ACE SPEC for Pokémon). 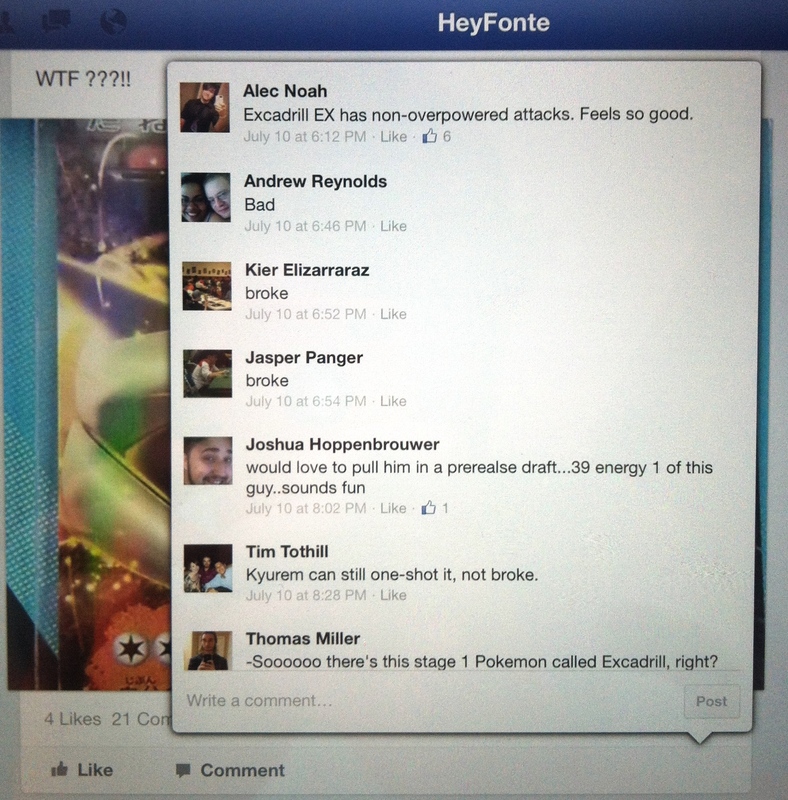 Example: a player may put 1 Rayquaza DRV or 1 Rayquaza EX in his or her deck, but not both. Only 1 Pokémon Catcher may be played per deck. Rule 1: Only 1 legendary Pokémon may be played per deck. Essentially, this rule provides the biggest change to the game and completely axes the whole idea of “Big Basics” running the format. Legendary Pokémon, either EX or standard, now have a characteristic about them that is much like an ACE SPEC Trainer Card. This totally complements the fact that many EX Pokémon seem like tech cards. Darkrai EX, Celebi EX, and Keldeo EX all have Abilities that shine even without the powerful attacks those cards boast (okay, not Celebi EX, but you get the point). Rule 2: Only 1 Pokémon Catcher may be player per deck. Pokémon Catcher is a staple in practically every competitive deck in the Pokémon TCG. It encourages quick KO’s and simplifies the decision-making process for players. Without it, though, Dusknoir BCR and other powerful Pokémon enjoy a reserved spot on the bench. To balance this, we allow 1 Pokémon Catcher per deck. Dowsing Machine naturally becomes a popular ACE SPEC to copy Pokémon Catcher, and Ninetales DRX is a fine option as well. Soon, Genesect EX will also find its spot in the format. Rule 3: Professor Juniper is banned. 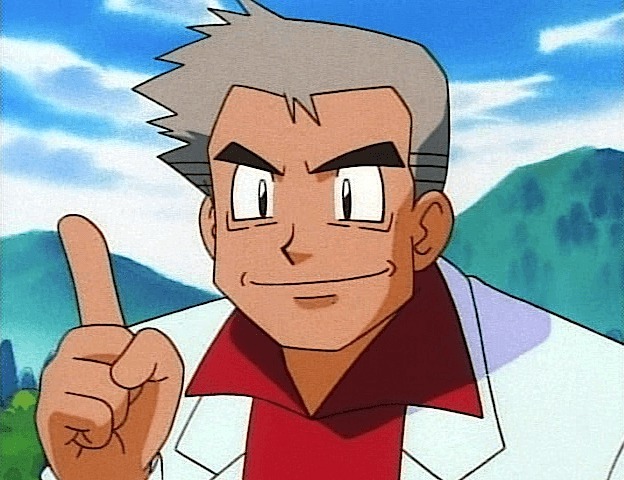 Without Professor Juniper, the game moves at a slower pace. The lack of Professor Juniper also requires players to get more creative in pulling off combos (no longer is a turn 1 Hypnotoxic Laser with Virbank City Gym in play a “common” thing). At the tournament we held, Colress was largely the replacement for Professor Juniper, along with Bicycle. At a deeper level, Professor Juniper can be a problem card for Evolution decks facing each other. Where one player might play a Professor Juniper on turn 1 and bench three Pokémon, the other player might be forced to play an N and get little accomplished (dead cards get cycled back into the deck). The player who played the Juniper to begin with now has a big advantage. With a “Big Basic” format this is not as much a concern, since the Pokémon don’t have to evolve and are ready to attack the moment they’re played. Rule 4: Tropical Beach is banned. Without Professor Juniper, Tropical Beach becomes immensely powerful and becomes a simple replacement. Naturally, without Professor Juniper, Tropical Beach had to go as well. Plus, the game is less expensive that way! Rule 5: Scramble Energy is legal. Perhaps the most controversial of the 5 rules, this one reintroduces an old card — Scramble Energy — to a new format. The existence of Scramble Energy gives players a much-needed way to make a comeback during gameplay. This can be indicative of skill or just downright annoying; nonetheless, Enhanced Hammer exists to make sure the card never becomes too powerful. 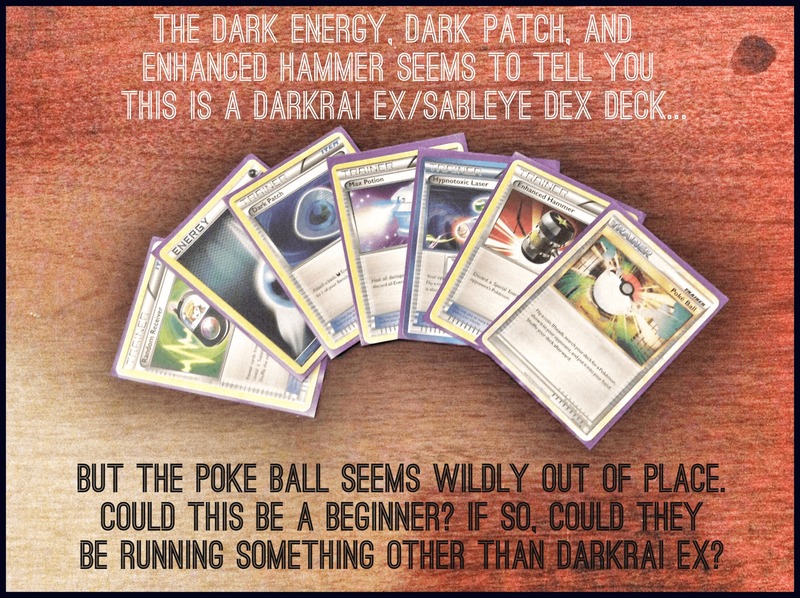 Scramble Energy was also chosen as a suitable “fix” to the Sableye DEX/Crushing Hammer combo. 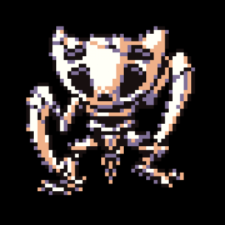 By using Junk Hunt to copy multiples of Crushing Hammer, Sableye DEX ensures that any deck without Energy acceleration fails miserably. With Scramble Energy, however, players can go behind in Prize cards and then mount a fair comeback, meaning more options for players. With our rules set, we had a small tournament to test the new format out. With 8 players, we did 4 Swiss rounds and a top cut of 4. Top cut was 60-minute rounds, best 2 out of 3. For this tournament, I honestly expected many Garchomp DRX 90/Altaria DRX decks, since it seemed like an obvious contender for the best deck in the format. With a few days to go, I built my own Flygon BCR/Dusknoir BCR deck and added Kecleon PLF as a tech for dealing with Garchomp. At the tournament, however, it turned out that nobody played Garchomp/Altaria. To make matters worse, I was busy piecing things together for the tournament and forgot to add in Landorus EX to my deck. As such, I did fairly poor. Zach Bivens came out the victor with his Zoroark/Absol deck. And according to all the players, this format worked really well. Scramble Energy was played in 3 or 4 of the decks, and it didn’t seem overly powerful. Games were paced well, and much fun was had! We are going to continue to test this format out, but feel free to experiment with it on your own! The next set brings some really interesting additions to the Missing Format, including a couple of Supporters that seem destined to make a change as well as more EX’s that will find a nice “1-of” in many decks. And again, this is easily a low-cost alternative that provided us with much fun (and a use for all those cards hanging out in the binder). Alright, now for the meat of this article. I, like so many players in this game, want desperately to be “the very best, like no one ever was” (yep, that just happened). Once you understand the basic structure of the game and its rules, the next step is to become a solid player — in other words, reach a level at which nearly any deck can be handed to you and you can play it. Past this understanding of strategies, however, there are still improvements to be made. Let me be clear here: perfecting each and every one of these common “missed opportunities” might not change the outcome of the game. You might still lose just because of the matchup or because of bad luck. However, we always want to give ourselves the best chance for victory, and taking these opportunities when they present themselves is a great step in the right direction. Plus, there’s no feeling worse than losing a critical game because of something small you overlooked. It remains a mystery to me, the player who doesn’t look at their opponent’s hand when they mulligan. Why does this person insist on charging into battle while wrapped in a thick fog? When your opponent mulligans, check out their hand! It can be even more intimate than your opponent telling you what they’re playing (just imagine seeing a Gold Potion when the opponent mulligans in addition to a Darkrai EX). What starts out as an assumption that the opponent is playing Darkrai EX is thrown off by the presence of Poké Ball, a card that is far from competitive. With all the talk of cheating in the Pokémon TCG, checking an opponent’s mulligan gives you one extra benefit: you can make sure your opponent is being honest with you. I have had a couple of players mulligan against me, only to announce it as they’re shuffling their cards back into their deck. In my mind, this is probably deserving of a penalty. 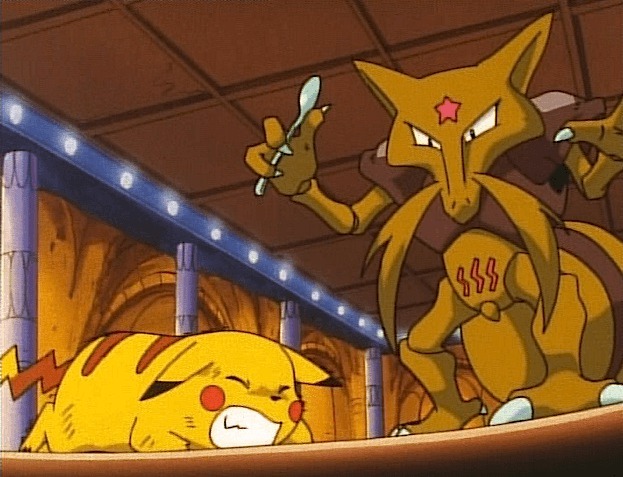 Did they have a Basic Pokémon but didn’t like their hand? Why were they so quick to shuffle their hand away? And what information about their deck did I just miss out on? Remember, mulligans matter because they give up valuable information to you. Take advantage of that! Note taking is yet another opportunity that many players overlook. Perhaps they left their pen and paper at home, or maybe they think they can keep all that info in their head — whatever the case, I’m surprised that more players don’t take notes during their matched. Of course, I’m guilty of this myself, as I only really took notes when Azelf LA was legal. This season, however, I’m changing that habit. Players are allowed to take notes during a game in respect to actions that have happened during the game. Players may take notes during a match and refer to those notes. Players may choose not to share these notes with other players, but a judge may ask to see a player’s notes and request an explanation if needed. A player’s note sheet must be blank at the start of each match. Players must be timely with their note taking and may not use devices that may send or receive messages as a note-taking device. A player may not refer to notes taken during previous rounds while the tournament is still in progress. Notes taken during a match may not be given to other players during the course of the tournament. It’s important to note that if you decide to take notes during a match, your note sheet must be blank at the beginning of the match. The rules also stress that players must be timely with note taking. Originally, I thought the idea of writing down your strategy for each deck you might face was a good idea, but it breaks the rule here since you must start each match with a blank sheet. Still, perhaps the best idea is to memorize those strategies beforehand, then write down a few words after the match has started representing your course of action. Facing Gothitelle EPO 47/Accelgor DEX with Darkrai EX, you might write down “Double Keldeo” just to keep that strategy as your focus. Perhaps the best way to get used to taking notes is to do it when you test with other players, before the tournament. The more you practice this on your own time outside of tournament play, the more natural it will feel and the more comfortable you will be with writing down notes. And remember, writing down notes does not mean you lack skills. Rather, it actually shows that you came prepared and are taking the game seriously. Once again, it stands as a mystery to me when competitive players get a chance to search through their deck for something and don’t try to figure out what their Prize cards are. Once again, this is overlooked information — and it can be written down in your notes as well! Of course, there’s a trick to doing this well, and it all has to do with maintaining a brisk pace. Know your deck in and out! The more familiar you are with your deck, the quicker you’ll be at spotting what’s missing. If you can’t write down the contents of your deck without looking at it, then you don’t know your deck well enough! Have a method for deducing your Prize cards. I generally count my Energy first, my Pokémon second, and my Trainers last. Since Energy counts are usually low in this game, I can quickly tell what’s missing. Pokémon cards are easy to spot, especially if you’re running lines of them. For Trainers, start with everything you have 4 copies of, then look at everything you run 3 copies of, and so on. Again, practice this when you test outside of tournaments. Brag about it, show off your ability to your friends, just do whatever it takes to make this a priority! If you have your core strategy understood, this is that extra effort that will ensure you won’t end up losing because “such and such” was prized. In a way, it’s like adding a weakened Town Map to your deck, and anyone who’s playing with a 60.5 card deck will naturally have an advantage. Try to deduce your Prize cards with the very first search you make through your deck, take note, and move on. This will show your opponent that you know what you’re doing and that you won’t take up anymore time for the rest of the game. Once again, you may not be able to deduce your Prize cards with ease to begin with, but with practice it gets easier and remains a clear mark of skill in the game today. Do not overlook the power of knowing what’s in your Prizes! Generally, when I’m teaching new players how to play the Pokémon TCG, I encourage them to do everything they possibly can during a turn. Therefore, if they have an Energy card, they should attach it somewhere. If they have a Supporter card in hand, they should play it. And if they can attack, then they should. This concept goes much deeper than most would think. I have observed countless errors made by players who play their N too early or forget to play a certain card before using a Professor Juniper. I have made these mistakes myself as well. At our Team Missingno. 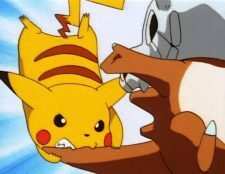 Invitational, I made the mistake of using an attack of Trapinch BCR’s called “Smithereen Smash” on my opponent’s Emolga DRX. I felt compelled to do everything I could, and so I attacked. I got a heads, which meant I discarded an Energy card from the Emolga. This ended up giving my opponent the means to piece together a turn 2 “Disconnect” with Zebstrika NXD. 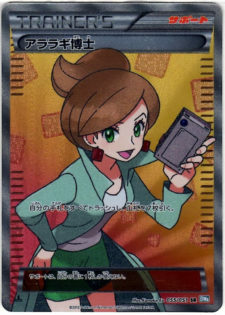 The Pokémon TCG is largely a game of responses: Player A plays some cards and attacks, then Player B responds by playing his or her cards and attacks, and so on. Only when Power Spray was legal did we have players actively playing cards when it wasn’t their turn. As such, the player who is playing in the moment recognizes the plays an opponent can make to completely turn the tide of the game. A passive player, one with their autopilot on, will instead complain when their opponent uses an N or Max Potion to mount a comeback. If you take no active role in anticipating an opponent’s response to what you’re doing, you will be caught off guard time and time again. 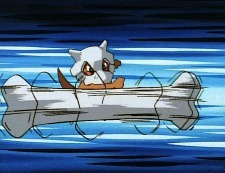 When a player benches a Trubbish, most players will anticipate the Garbodor DRX that is sure to follow. They will take steps to be prepared for “Garbotoxin” as soon as it hits the field. Why then don’t players anticipate the opponent to play an N after they KO an EX Pokémon to put themselves two Prize cards away from victory? Time and time again, I have seen players hold onto cards with a strategy in mind, then have those cards swept away by a well-timed N.
This card is the comeback card of the Pokémon TCG currently. Personally, I liked N’s effect much more when it was Rocket’s Admin. in an older format, but the same rules still apply here. Games are won and lost because of N. As such, anticipate when an opponent might play N. Keep track of how many N’s they’ve played during the game, and always be wary when you start pulling ahead or when and end to the game is in sight. With the capability of wiping massive amounts of damage away, this card can swing games with ease. 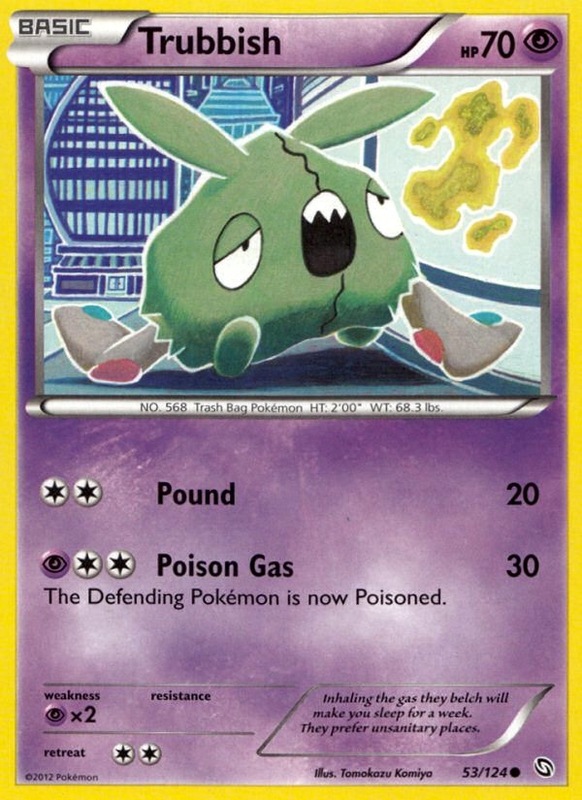 If you find yourself stacking damage on an opponent’s Pokémon or doing incredible amounts of damage at a cost, you might want to start asking yourself whether or not you think the opponent plays this card. An Energy card lost can set a player back an entire turn. Sometimes, it’s enough to keep that player from ever catching up. With Crushing Hammer leaving the format soon, this threat might die down a bit, but Enhanced Hammer can still cut right into the strategy of certain decks. 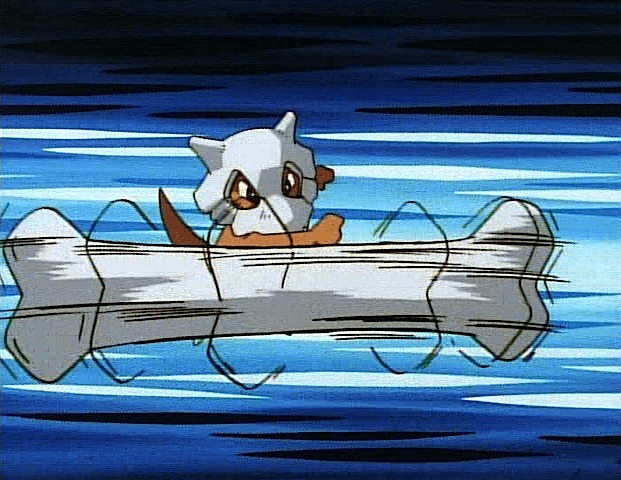 While Catcher is excellent at allowing players to accumulate KO’s on weak Pokémon on the bench, it can also be used to “trap” or “stall” a Pokémon by pulling it up to the Active position and essentially leaving it there. Most players anticipate this by using Switch, Float Stone, or Keldeo EX to circumvent this trap. Some players don’t think about it until it’s too late. Many players are finding a mid to late game use for this card rather than the early game presence it was originally expected to have. This is a hard card to anticipate since players usually run low counts of it in their deck, but just be aware that as your hand grows so does your opponent’s motivation to play Ghetsis. Cards like PlusPower, Hypnotoxic Laser, Deoxys EX, and so on present a large departure from old formats in which Strength Charm was the best way to do additional damage. Not that you should always expect an opponent to have everything they need to land a knockout, but you should definitely be aware of these types of cards. Again, these are cards that every serious player of the Pokémon TCG should understand quite well by now, yet I still catch players flubbing it up on occasion. Just because it’s not as obvious as a Trubbish being benched doesn’t make it any less a threat! One of the strengths of playing a rogue deck is the fact that many players will not know what to do against it. Rather than follow the strategy they might need to be victorious, they will instead follow the same core strategy that won them games before, all the while not realizing that it will lead them to defeat. Being able to switch strategies successfully against an unexpected deck in a tournament setting is an extremely specialized skill that requires precise knowledge of the game, confidence, and all out brilliance. 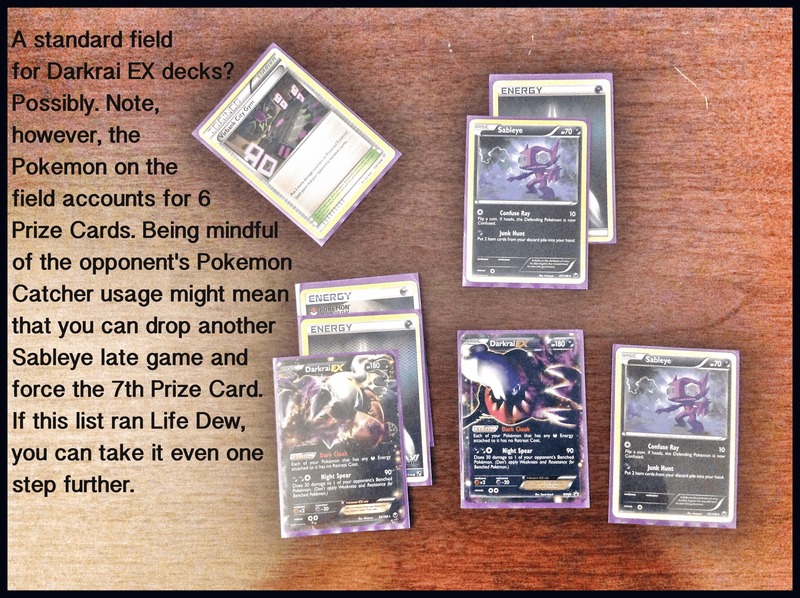 At a State Championship I played in earlier this season, I was playing Darkrai EX/Sableye DEX when I faced an Articuno EX/Garbodor DRX deck. Without Float Stone in the format, I naturally swarmed with Sableye, using Junk Hunt to copy Pokémon Catchers and Crushing Hammers. Eventually, I was able to manage a lock on my opponent, though it took most the game to do so. When time was called, neither of us had taken a Prize card, but I had my opponent exactly where I wanted him. I later took a Prize card in Sudden Death to win the game. Since rogue decks by their very nature won’t be known to players before a tournament, everything you need to do to win against them has to be made up on the spot. Try to find weaknesses in their deck and avoid playing the part of your deck that they may strong against. 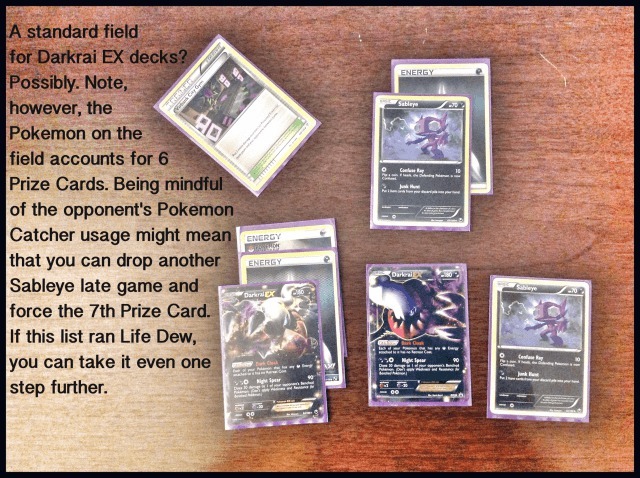 If I were playing a Darkrai EX/Sableye DEX deck and faced a surprise Terrakion EX deck, I would have to instantly switch to my Sableye/Crushing Hammer swarm that led me to victory against the Articuno EX I mentioned earlier. An interesting thing happens to many players who manage to break into the top cut. These players seem to overlook the fact that top cut rounds can offer less time per game than the Swiss rounds, particularly if three games are played. Whereas a Swiss round will normally allow players 30 minutes (+ 3 turns) for a game to be completed, top cut rounds can see games needing to average at 20 minutes in order to be completed. Many players don’t acknowledge this huge shift in time limit. As a result, they continue to play without any change to their learned strategy. They just go about playing as though they were enjoying a relaxing game at home. Then, time is called, and they realize they’re in a losing situation in game two. Know when to concede the match. If you find yourself moving on to the top cut, recognize that you have a very powerful tool at your disposal the ability to concede. Even this calls skill into question, for if you can accurately predict the outcome to the game, you might be better off conceding and going to the next game. Players who know no better will continue their travels into the rabbit hole, ultimately giving themselves little chance to win. 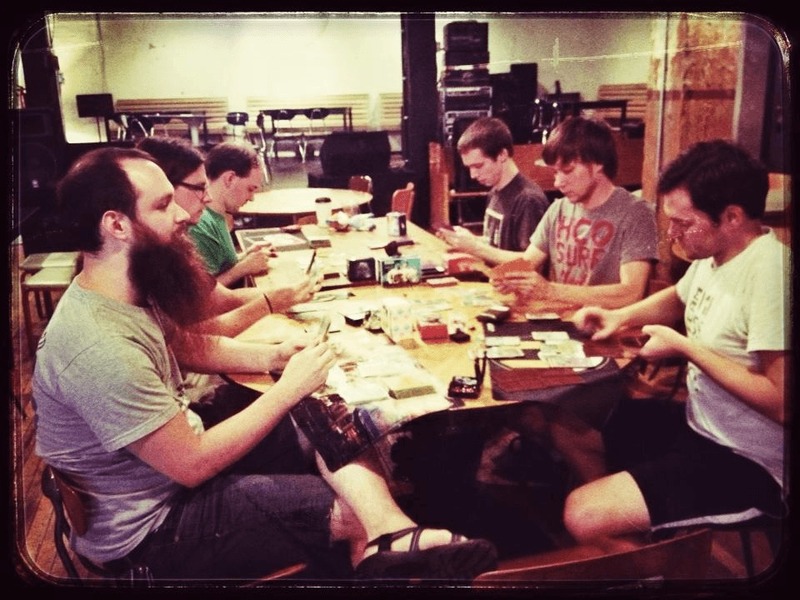 Additionally, if you know for a fact the deck you choose for a tournament is slow to setup, you need to practice beforehand and prepare not just for the top cut rounds, but for the Swiss rounds as well. There’s nothing worse than being just a few turns away from a huge victory when time is called. We have all seen players forget to force the 7th Prize. For those who don’t know, “forcing the 7th Prize” means locking an opponent into the situation where they have to knock out an EX Pokémon to take the very last Prize card. Since EX Pokémon offer up two Prize cards when knocked out, it’s essentially creating extra effort on the opponent’s part to win. Yet, some players overlook this simple rule. 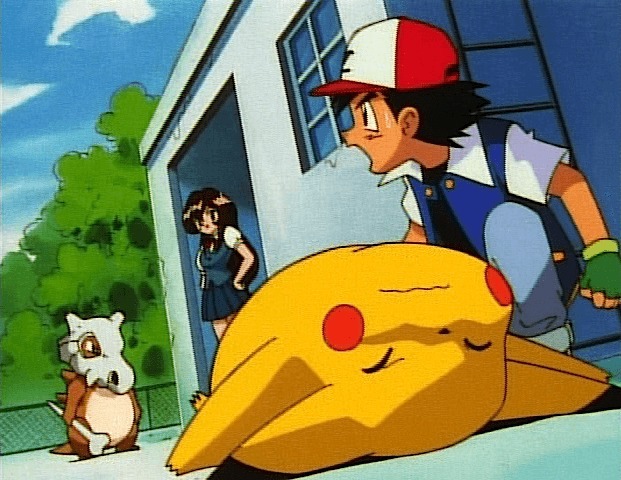 They drop a regular Pokémon on the bench, not realizing they’ve given the opponent an easier path to victory. This essentially stems from that earlier issue in which players feel compelled to do everything they can, even if it’s not in their best interest. It can also mean poor planning on the player’s part (you don’t have to bench everything). With Life Dew now released, players can force the 8th Prize, making it even more difficult for opponents to win. I mentioned this earlier in the article, but there truly is a lot to be said about the player who knows exactly how to approach each matchup they might face at a tournament before the tournament even begins. After all, what good is a superb deck list to a player who ignores the proper strategy needed to win the game? Some players choke in the moment, missing out on how they could otherwise win the game. Save yourself the trouble by not only learning about techs and strategies that can help you win matchups, but putting them into practice. If you find yourself winning matchups you originally thought were tricky, test against more challenging opponents. If you have a team or group of players you play with, work together on compiling solid lists for archetypes and test each matchup. Put the work into the game and avoid playing your deck the same way against every deck in the format. That honestly shouldn’t be happening. During the Diamond and Pearl-on format, I found myself playing Regigigas LV.X against an opponent using a Machamp SF deck. Since I had tested the matchup beforehand, I knew the only way I could win was by stalling his setup by dropping multiple Mesprit LA. I also played Unown G GE to keep my opponent from landing a OHKO, a card I threw into my deck for just this situation. I managed to win the game, but I had to play it with near perfection. Planning ahead and having a pre-game strategy helped me recognize immediately my only chance at winning. In our fast-paced world and with the convenience that technology often offers us, it’s no surprise that players are more focused on finding perfected deck lists than perfecting their play. Even I have been guilty of just this, searching online for a solid list, then tweaking it to my liking without even bothering with testing. I think it’s a partial myth to believe that the deck list alone will propel players to grand heights. It’s certain that some players will benefit from a solid list, especially if they are a natural at the game. But again, there is always room improvement. My defining message in this article is simple: turn your autopilot off! Be an active player and challenge yourself mentally. If you are not a note taker during tournaments, perhaps it’s time to adopt a new habit. If you have no clue what your Prize cards are during a game, there is room to grow. So understand that while a solid deck list is extremely important, solid play is right up there too! If the next tournament you play in will be for the 2013-2014 season, I issue a challenge to you: do your very best to plug up any holes in your gameplay. Get to the point where you know your Prize cards after one glance at your deck, that you’re writing that information down, and that you have a clear and decisive view of the path to victory. And if you’re a 2013 Worlds competitor, don’t let us down! If/when we see streams of your games (or read your tournament reports), we expect “the very best.” Don’t get thrown off by a well-timed N that you should have seen coming, and try your best to adjust to any rogue decks/techs that surface. And of course, have fun in Vancouver!